The HC had also stayed the government's decision to provide five per cent reservation to the Muslims in government service but allowed quotas for them in educational institutions. NAGPUR: The Maharashtra government would allot 16 per cent of the 72,000 posts it is going to fill to the Maratha candidates in the form of backlog if the Bombay High Court allows quota for the community, Chief Minister Devendra Fadnavis said in the state legislature here today. He made this announcement in response to an allegation by the Opposition members that the government was dragging its feet on fulfilling the assurances towards allotting quota to the Maratha community. Fadnavis also urged members of the Maratha and Dhangar communities to not stage protests in Pandharpur on the day of "Ashadhi Ekadashi" to avoid inconvenience to the Warkaris or devotees who throng the temple of Lord Vitthal. Ashadhi Ekadashi falls on July 23 this year. 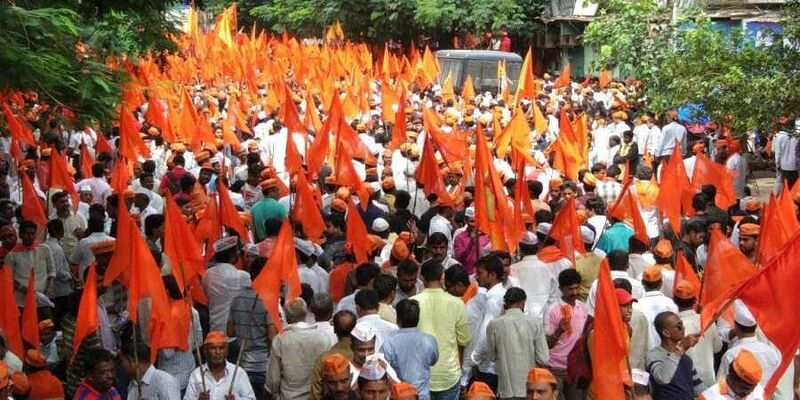 Maratha leaders had recently announced to stage a protest in Pandharpur against the state government's "failure" to award quota to Marathas in jobs and education institutions. The chief minister said the matter is currently pending before the Bombay High Court and suggested against politicising the quota issues. The government had recently announced that it would fill the 72,000 posts across its various departments. The posts would be filled in two batches of 36,000 over a year. Advertisements for recruiting the first batch of 36,000 posts are expected to be issued at the end of this month. "Some people are saying that the posts won't be available for the Marathas in case the high court announces reservation for them if we went ahead with the mega recruitment. I would like to assure that we have more posts available than this," Fadnavis told the Assembly. He said, "Even if we fill the 72,000 posts, 16 per cent posts would be filled as a backlog as and when reservation is granted to Marathas. Therefore, there would be no injustice meted out to the community". About the demand for reservation for the Dhangar (the Shepherd) community, the CM said the Tata Institute of Social Sciences (TISS), entrusted to conduct study of backwardness of the community, is likely to submit its report to the government "any time". "Based on that report, we would make a recommendation to the Centre," Fadnavis said. Members of the Dhangar community have been demanding reservation under the Scheduled Tribe (ST) category. Marathas, a politically influential community in the state, have been demanding quota in government jobs and education under the Other Backward Classes (OBC) category. Various Maratha organisations had held massive 'silent marches' across the state last year for various demands, including reservation. Leader of the Opposition in the Assembly Radhakrishna Vikhe-Patil alleged that the government was not implementing five per cent reservation for the Muslims despite there being a high court order in this connection. In his reply, Fadnavis said the government had sought the opinion of the court in connection with the matter, which is still pending. The Bombay High Court had in 2014 stayed implementation of the erstwhile Congress-NCP government's decision to provide reservation to Marathas. "Even if we would have given reservation to the Muslims, how many seats would have been kept aside for the community students? 1000 seats? Not even that. Hence, the government gave 50 per cent concession in fees to the minority community students in higher education," Fadnavis said. Earlier, the opposition members, including Vikhe-Patil and NCP leader Ajit Pawar, charged the government with dillydallying in taking steps towards fulfilling the Maratha quota demand. Some of the members also claimed there was dissent among the Maratha community members over the alleged delay which could result into a law and order issue. BJP MLA Ashish Shelar hit back at the Congress-NCP combine, alleging that no due process was followed by the previous government, resulting in the delay in giving quota. Repeating his statement in the council, Fadnavis said 16 per cent of the 72,000 seats would be considered "reserved" for the Maratha candidates. Raising the issue in the Upper House under Rules 289 and 97, Leader of Opposition Dhananjay Munde (NCP) and other MLCs of the Opposition parties demanded that the government spell out its stand on the Maratha quota. In his reply, Fadnavis referred to the extension of reservation granted to Marathas through an ordinance by the state government (in 2014), which was stayed by the Bombay High Court. The supreme court had refused to vacate the stay on the interim stay granted by the HC. "The high court had directed the state government to complete the necessary Constitutional procedures in the matter, following which the Backward Class Commission was formed to give its recommendations about reservation. "The commission headed by Justice Gaikwad is visiting every district and holding a public hearing to prepare a report. The HC order on the Maratha reservation is expected after the Commission submits its report," the CM said, adding that the government is providing all possible assistance to the commission for submission of the report as early as possible. To this, Munde said the members of the Maratha communities felt strongly about the quota and are holding agitations in Parli and Beed in Marathwada region.